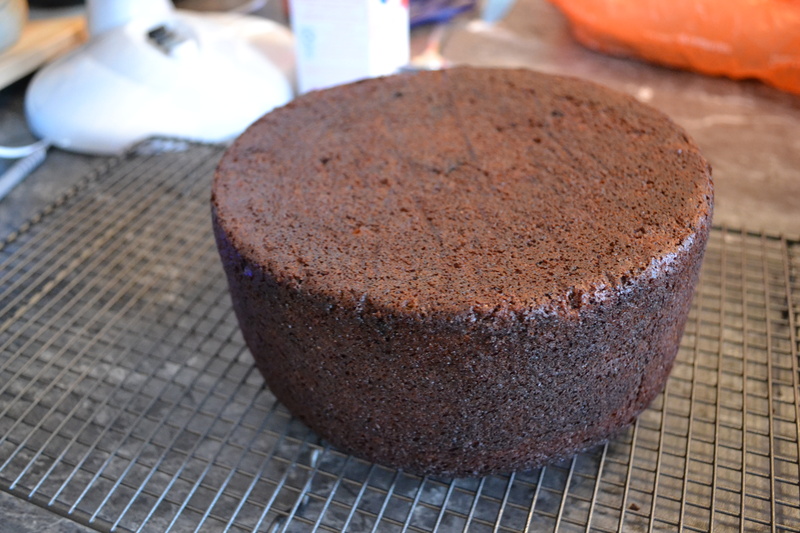 Baking With Beer: Chocolate Stout Cake | It Comes In Pints? Everyone knows the gag “I love cooking with wine; sometimes I even put it in the food” – and we are familiar with sloshing glugs of red and white into our pasta sauces, casseroles and risottos. Supermarkets even sell specially-designated “cooking wine” for the purpose. But how often do you cook with beer? In this series we want to explore recipes which use beer in cooking and baking to see what interesting new flavours we can discover. When we think of the flavours we typically associate with stouts and porters – chocolate, coffee, oatmeal, cream – it immediately becomes apparent why it makes a perfect ingredient in chocolate cake. 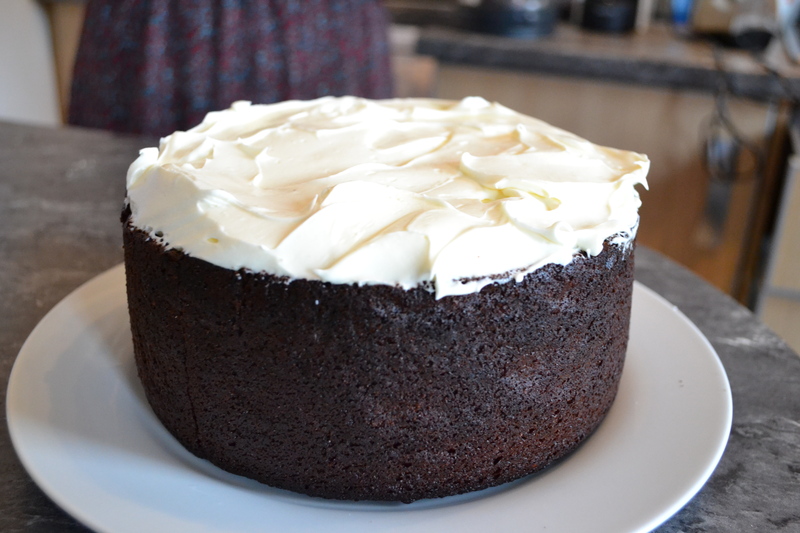 I discovered this Gizzi Erskine Chocolate Guinness Cake recipe a couple of years ago after a tip off from a friend and it has been a firm favourite of my husband’s ever since. He requested it specially for his birthday over Bank Holiday weekend and I was only too happy to oblige. In the past I have made it with Bath Ales’ Dark Side stout (4%) which is very smooth and balances bitter and sweetness well without getting too heavy. 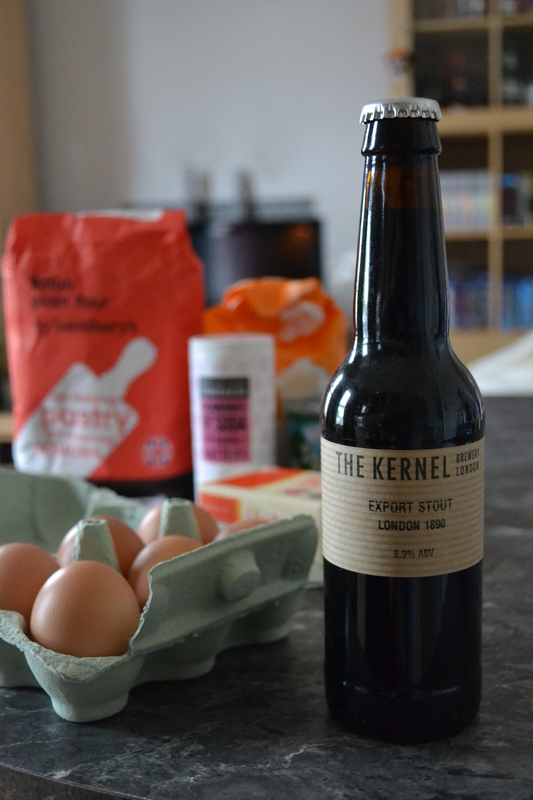 But as it was a special occasion the hubby requested that I used one of his favourite beers – The Kernel Export Stout. This is much stronger at 7.8% and is richer as a result, carrying more dried fruit flavours. I figured this could only go down well in a chocolate cake. 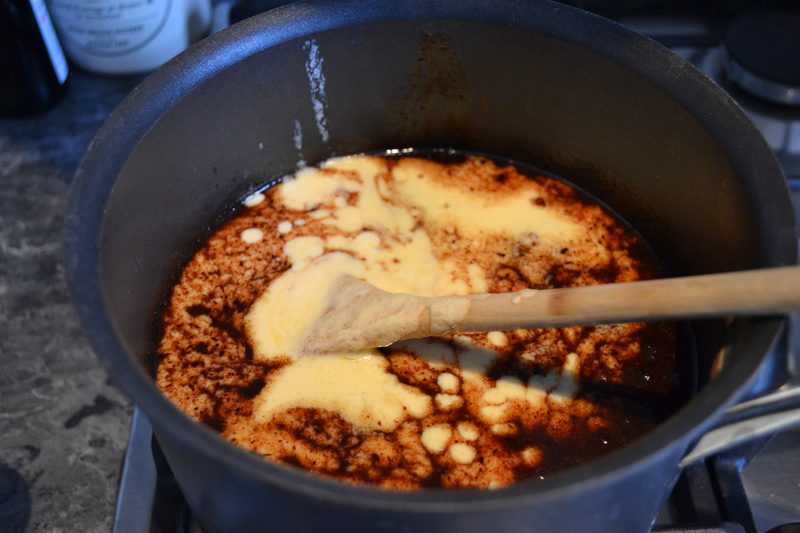 To get started, heat stout on the hob with butter until it melts. 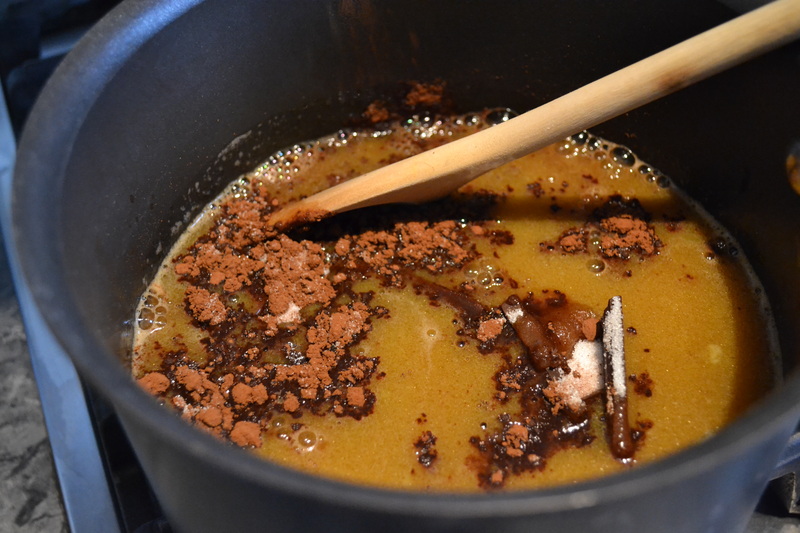 Next, add sugar, dark chocolate and cocoa powder. 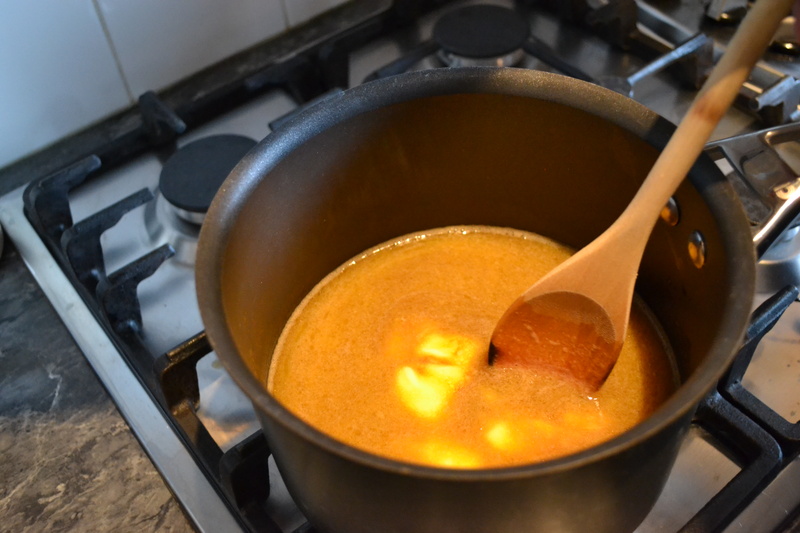 Beat plain yoghurt with eggs and vanilla essence and add to to saucepan. 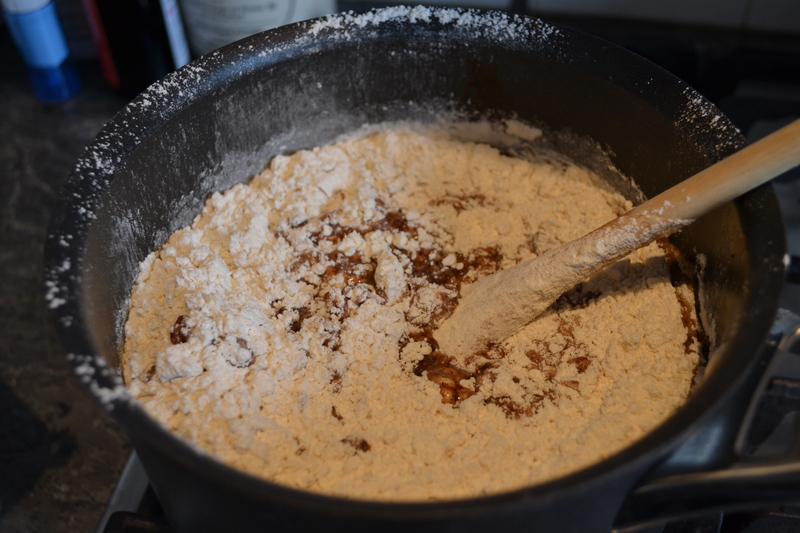 Finally add flour and bicarb and whisk in. 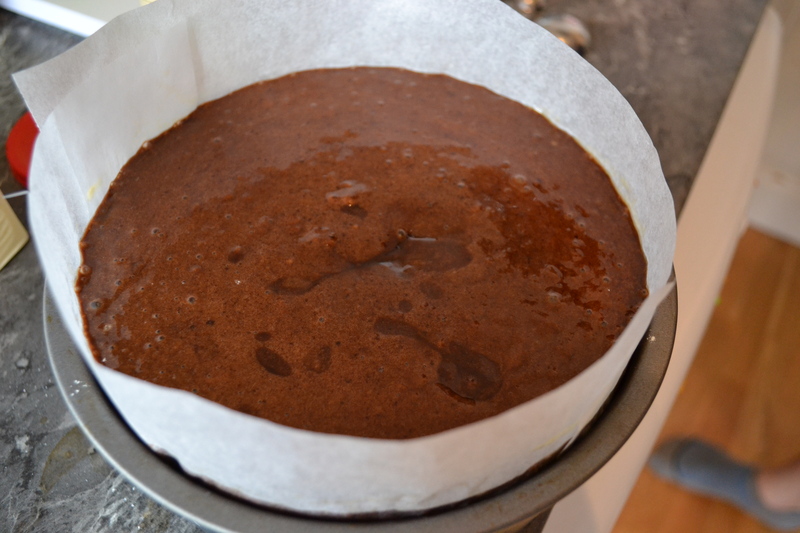 The recipe says to cook the cake for 45mins to an hour – I went for the full hour as it’s a seriously wet mixture. After baking you need to cool it in the tin for a couple of hours before trying to turn it out so that it firms up a bit. It’s worth it to get such a moist and light texture. When the cake’s cool, you whisk cream, cream cheese and icing sugar to make the frosting. 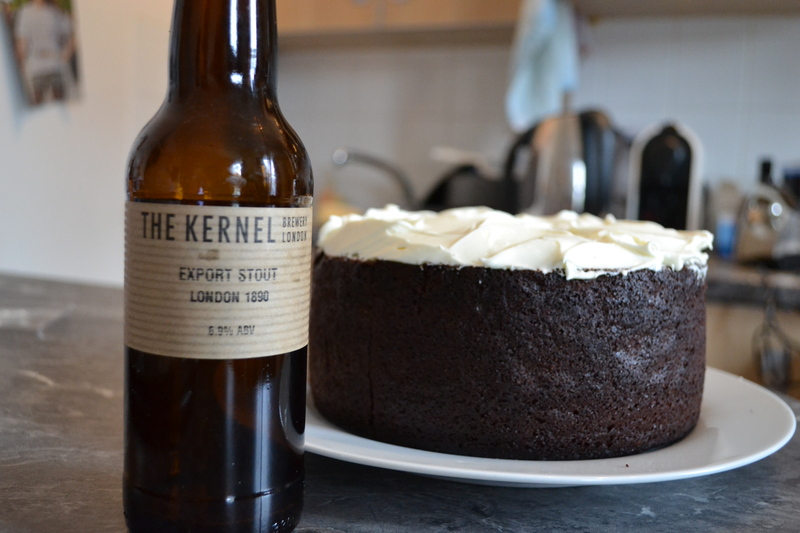 The idea is that it looks like a Guinness with a frothy top – not as relevant with Kernel Export Stout. But it tastes awesome. The great thing about this cake is that although it is chocolately, it isn’t too rich or too sweet. 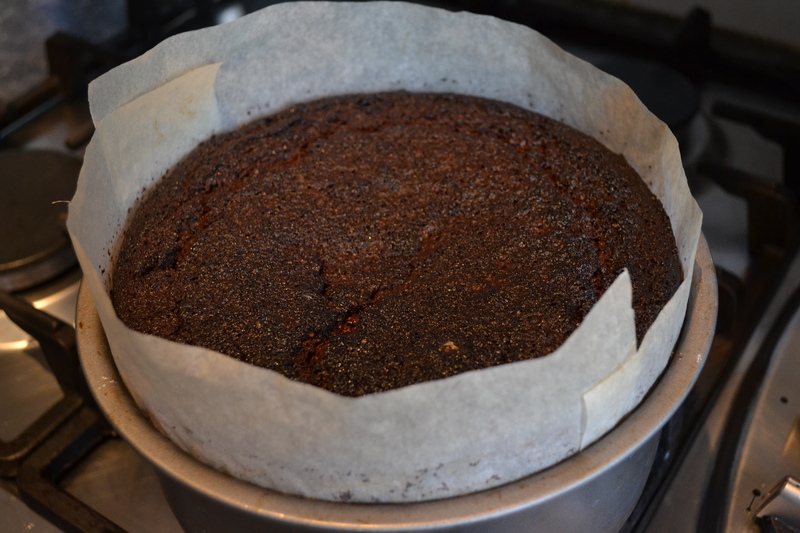 There’s about 100g of chocolate and 35g of cocoa in the whole cake, so it’s not too overpowering. So there you have it! Chocolate stout cake. Have you tried baking with stout/porter and chocolate? What beers did you choose? 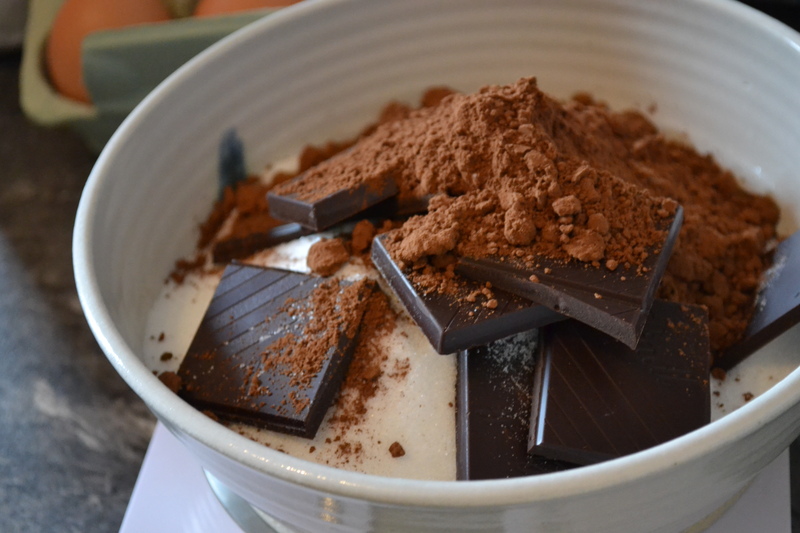 This entry was posted in Cooking With Beer and tagged chocolate, cooking with beer, stout on 01/09/2013 by icipints.